A souvenir brooch originally purchased on board Empress of Ireland. A heavy fog blanketed the St. Lawrence as Empress set out from Quebec on her transatlantic journey to Liverpool. The Empress and Storstad spotted each other several minutes before the collision, but altered courses and confused signals brought them into their fateful, deadly rendezvous. 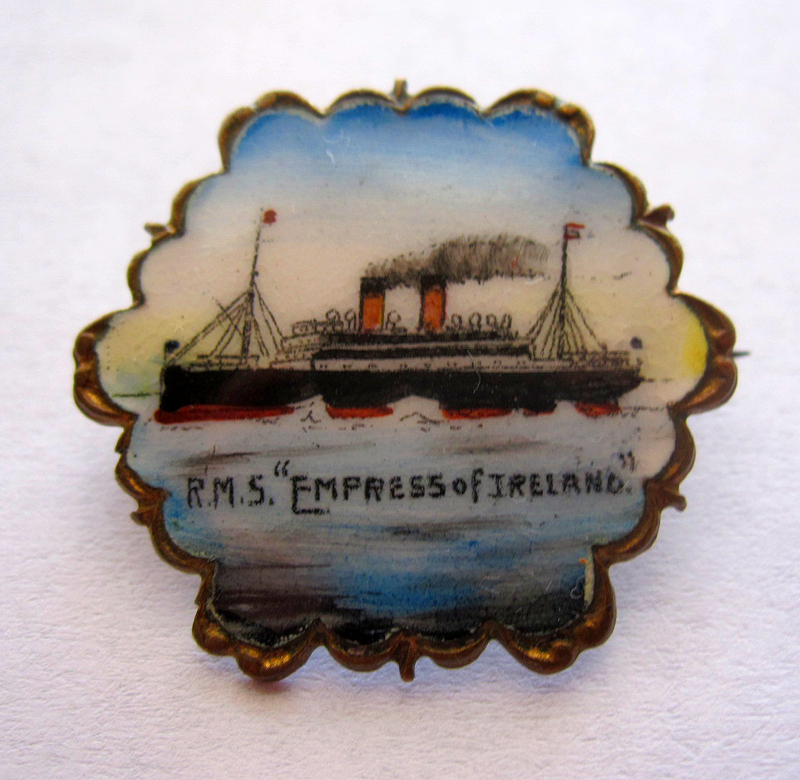 Just seven lifeboats escaped the rapidly sinking Empress, but thanks to the efforts of Storstad’s crew,scores of survivors were plucked out of the icy waters. A mere 15 minutes elapsed between the moment of impact and the sinking, providing passengers and crew precious little time for a safe escape. Among the passengers were 171 members of the Salvation Army, headed to London for a World Congress. Approximately 150 members would lose their lives in the disaster.